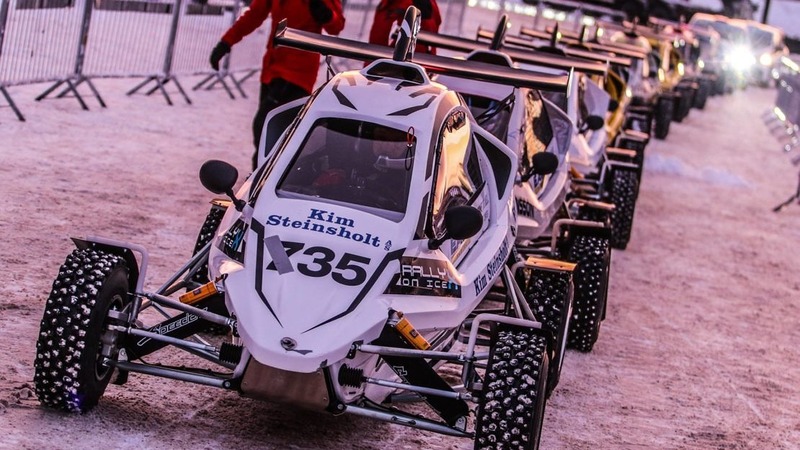 SRX Series and RallyX Nordic are pleased to announce a continuation of their relationship following on from a very successful RallyX on Ice debut for SRX. Marko Jokinen, Promotor of the SRX series said “I am pleased to continue our relationship with RallyX, I feel the increased level of professionalism and TV that being part of RallyX brings, will increase the opportunities for the drivers in SRX. It is important for us not only to give opportunities but to keep a cost-effective platform from which our drivers can grow. SRX Series offers a perfect introduction to the world of rallycross competition, with its potent Xtreme Crosskarts producing 150bhp from a Suzuki GSX-R 750cc engine and weighing just 312kg – propelling them from 0-100km/h in a mere 3.3 seconds and on to an impressive top speed of 180km/h. Ian Davies Series manager for RallyX Nordic said “ It is great to welcome the SRX series back to RallyX, we are passionate about building the sport for the future and we truly believe in the SRX series concept. RallyX Nordic and the SRX Series share the same goals for the promotion of Rallycross and its young drivers. SRX is a perfect starting point for the “road to rallycross” with Supercar Lites and RX2 all achievable steps in the ladder RallyX Nordic is keen to promote.